In 1854, the year of the proclamation of the Dogma of the Immaculate Conception of the Virgin Mary, Our Lady inspires Zephirin Dorval, a generous parishioner of Cap-de-la-Madeleine, to donate to the shrine a statue of the Madonna as She appeared to Catherine Laboure in 1830. This event is known as the Miraculous Medal Apparition. It shows Mary without the Child Jesus, Her arms outstretched toward the people, standing on a half-globe, Her foot/heal crushing the head of the snake. (cf Gen 3:15.) It is one of eleven identical statues made in Canada by an unknown Italian sculptor. 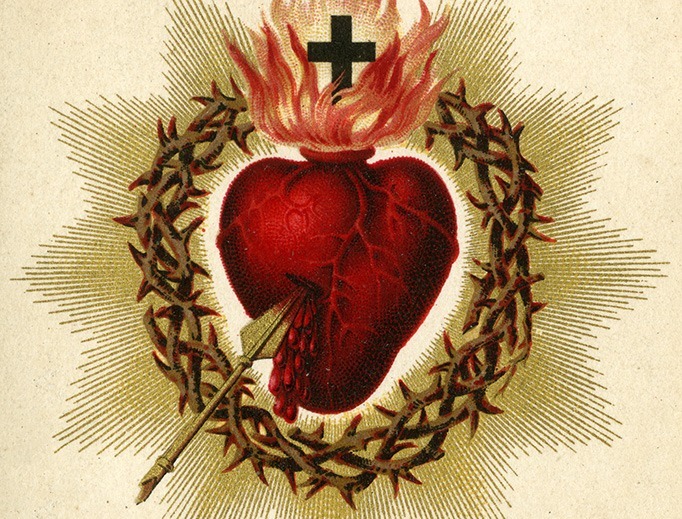 The meaning of the burning heart of Mary is one of burning love beating in union with the heart of Her son, and partaking in His suffering. 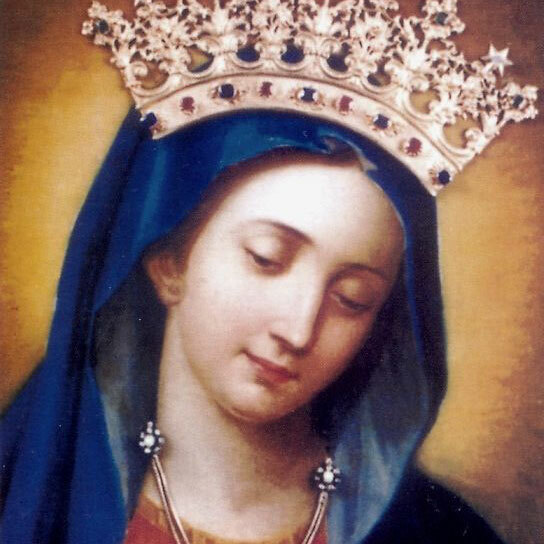 The other characteristic element of the statue of Our Lady of the Cape is Her crown. As we will see later, it was added in 1904 to commemorate the 50th Anniversary of the definition of the Immaculate Conception. The coronation honors and highlights, in particular, the miraculous character of the statue. In fact, since the ice-bridge miracle of 1878, and the prodigy of the eyes of 1888, this statue of Our Lady has been considered miraculous. The task of the new priest, Luc Désilets, was to arouse the languid faith of his parishioners, who had been without a parish priest for more than a century. When he arrived, the population of Cap-de-la-Madeleine was about one-thousand strong. One day, something strange attracted Father Désilets’ attention. He was returning from the sacristy, where he had been hearing confessions, and stopped in the church for a moment to pray. It was the eve of the Feast of the Ascension, in 1867, but the church was empty. Suddenly, the priest was astonished to see a pig with a Rosary between its teeth. 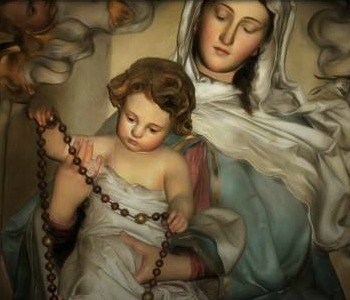 The thought came to him unbidden: “The Rosary falls from men’s hands to be picked up by the swine.” It was subsequent to this curious incident that Father Désilets decided to propagate the devotion to the Rosary, and he dedicated himself to Our Lady of the Rosary on November 5, 1867. Gradually, enthusiasm began to awaken; and the drowsy faith shook off its lethargy. The Rosary Society enjoyed renewed popularity, and the tiny 1714 church, which could barely hold a congregation of 60, became too small for the parish. 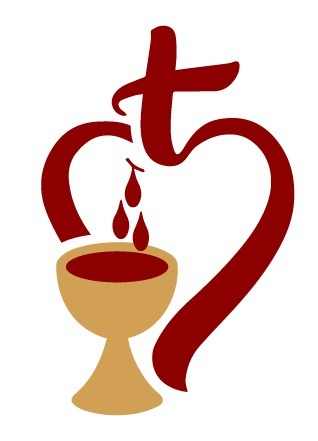 People began to talk of a new church, the third in the history of the parish. Unfortunately, money was scarce; as for building stone, it was only to be found on the opposite shore of the St. Lawrence River. Nonetheless, the project of a new church was approved by the church wardens in the fall of 1878. The stone was cut and dressed on the south shore, ready to be carted over the frozen river once winter set in. But the winter of 1878-79 was temperate… and the parish could not afford the luxury of having the stone ferried across the waters. “On March 14, a high wind broke up the ice blocking the mouth of the St. Maurice River and fringing the northern shore of the St. Lawrence. The broken ice drifted downstream into the bay of Cap-de-la-Madeleine, covering the river to a distance of several hundred feet below the church. During Mass, I announced, on the parish priest’s behalf, that there would be a High Mass on the 19th to petition St. Joseph for a bridge of ice. I added that, after vespers, I would accompany those who wished to prospect a passage to the far shore of the St. Lawrence River. “When we reached the area where the river was covered, we saw that the drifting ice was scattered thinly amongst floating snow… We advanced onto the river, choosing places where the fragments of old ice seemed to be closer together. The distance between the broken-up floes varied considerably. On and on we went. Firmin Cadotte led the way, axe in hand, a rope around his waist, held by Flavien Bourassa… just in case! “Firmin Cadotte was crawling forward, feeling with his hand for a small strip or patch of ice which would take the weight of his knee… Thirty men worked along this 1,600-foot stretch until 11 o’clock that night, with only three lanterns to give light in their task, which was to prepare a track wide enough for two carts to pass each other. We came back at 11 p.m. Stopping next to the old sacristy I asked the men: ‘Well, what’s the next step?’ Firmin Cadotte answered: ‘We have to pour water over the bridge in order to make it thicker.’ At 3 a.m. the same night, we were back at work on the ice. The night was crisp, considering it was the end of March, and the bridge was already solid enough to walk on. 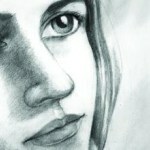 “On March 18, at 4 a.m., the north wind had blown up and driven the clouds away. We sent off for some men to pour more water over our bridge and to saturate the snow which had fallen during the night. We were beginning to be proud of our bridge. When we tested it with a blow from an axe, we found that it was already six inches thick. This raised everyone’s hopes of success. We had instructed Joe Bellefeuille and his son to prepare six-foot blocks of stone. While we were deciding where to open up the track (there had been a great deal of snow overnight), we saw the first sleigh coming over our bridge. It was driven by Joe Longval who had been eager to bring over the first load of stones. The miracle of the Rosary Bridge in 1879 therefore asserts in a striking way the presence of Mary at the Shrine of Cap-de-la-Madeleine. If there are still any doubts about it, they will disappear in 1888, with another prodigy taking place.